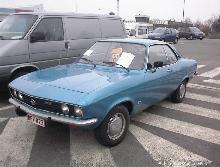 In 1968, after many years of producing sturdy, reliable family models West German manufacturer, Opel, launched an entirely new coupe. 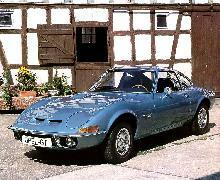 The Opel GT. 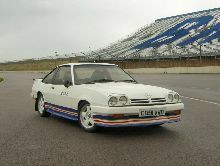 The new Opel used a modified Kadett platform as its base for its unique "fast-back coupe" body, built for Opel in France. Two engines were offered in the GT, an 1100cc and a more powerful 1900cc version. All versions were built only in left hand drive form, many example being built and shipped to America. An unsual feature was the revolving headlamps which were a novel alternative to the "pop-up" lamps which were popular at the time. 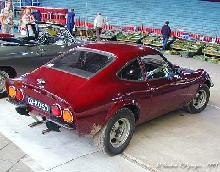 Production of the Opel GT continued until 1973.